Tropic Isle Living Jamaican Black Castor Oil Hair Care System - Hairlicious Inc.
Tropic Isle Living’s Jamaican Black Castor Oil is traditionally used for a multiplicity of complaints relating to the hair, skin, aches and pains, pregnancy, women's health, constipation, massage, cancer, and much more. To cover all these topics adequately in one blog, however, would be impossible. And being that this is a media that focuses mainly on Black hair and skin care, I will therefore narrow my focus on said matters. This week I am here to let you know that Tropic Isle Living Jamaican Black Castor Oil makes an excellent scalp tonic and conditioner. 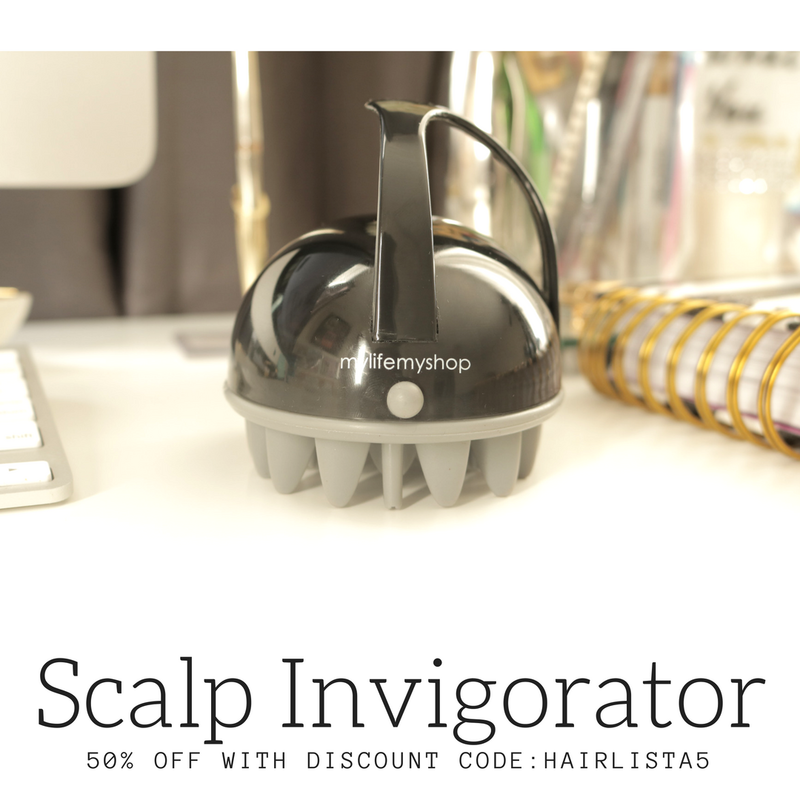 Its cleansing ability allows it to penetrate the scalp and help detoxify it of damaging toxins caused by chemical hair products, the environment, and parasites. A toxic scalp can manifest as dandruff, itchy, dry and flaky scalp, thinning hair, poor hair growth and much more. Research shows that Castor oil contains phyto-nutrients that help to destroy many types of bacteria, fungi, virus and other parasites that cause scalp and skin problems such as dandruff, eczema, psoriasis, liver spot, and other types of skin issues. Tropic Isle Living Jamaican Black Castor Oil is specially prepared to preserve these phyto-nutrients so that you can benefit from them. By massaging Tropic Isle Living Jamaican Black Castor Oil into the scalp on a regular basis, you will be removing damaging toxins from your scalp, cleansing action, blood circulation will improve, and more nutrients will reach the roots of your hair. This all means your scalp will return to its natural state of good health. And in turn your hair will become thicker, longer, stronger and more vibrant. Step 3: Chose one section as your starting point… using a comb, further section your hair in mini-parts within the selected part to reveal your scalp and apply Tropic Isle JBCO directly as you go along. Step 4: Repeat step 3 for the three remaining parts. Step 5: Once your entire scalp is saturated with Tropic Isle JBCO gently massage your scalp with your finger tips and pay close attention to areas prone to breakage or signs of bald spots. Do not forget to apply the oil to your hair line (for most this is our weak spot). Do this for at least 1 to 2 minutes….your scalp will love you for it! Remember healthy scalp healthy hair. Step 6: (Optional) Place heating cap on head for 20 minutes to an hour for maximum effect. Step 7: (Optional) You may chose to wash your hair or simple style hair as desired. It is recommended that you do at least one scalp massage per week. 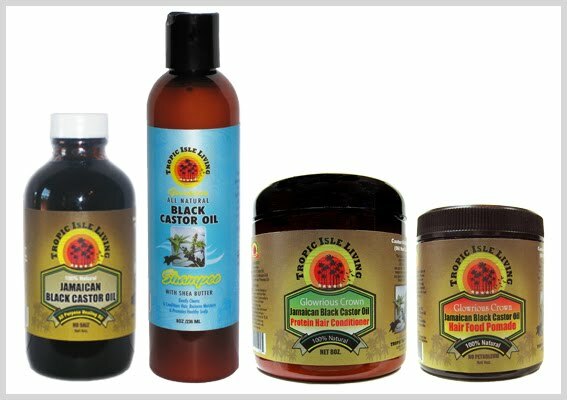 Tropic Isle Living’s Jamaican Black Castor Oil is made the traditional way. Our seeds are delicately roasted to facilitate the extraction of the minerals and phytonutrient contents found in their outer covering. In a nutshell – no pun intended - this means a more nutrient rich Tropic Isle Living Jamaican Black Castor Oil. The same way we layer our bodies with a particular fragrance for that extra special effect, it’s basically the same principle you would use to make your hair stronger, thicker, longer, healthier and more vibrant. 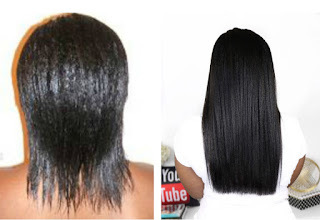 I would like to share with you how I layer my hair with Tropic Isle Living line of Jamaican Black Castor Oil products to get absolutely fabulous hair. The Key to this system is layering with moisture every step of the way from wash to style. 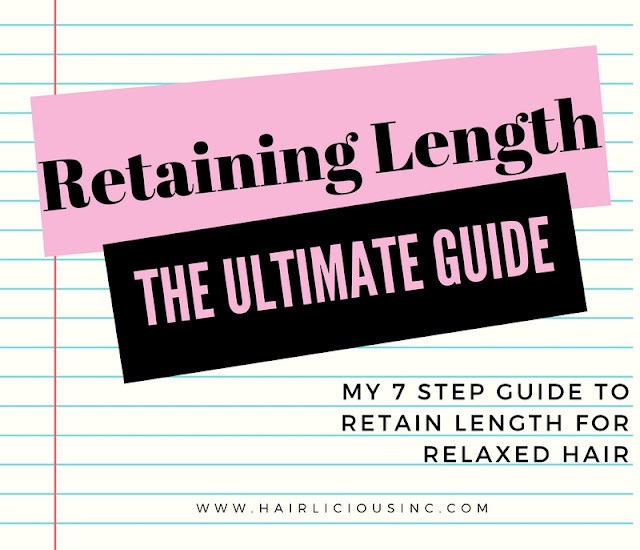 I have used this method for several years when I had natural hair, relaxed hair, AND NOW I am in my relaxed and colored phase by choice. You will need the following Tropic Isle Living Jamaican Black Castor Oil line to get going: Black Castor Oil, Shampoo, Protein Conditioner and Hair Food. Phase 1 Hot Oil Treatment for 20 minutes to an hour using Tropic Isle JBCO. Phase 2 Shampoo more than twice with Tropic Isle JBCO Shampoo. Phase 3 Towel Dry hair to a damp feel and apply a generous amount of Tropic Isle JBCO Protein Conditioner leave in for 20 minutes to an hour, After application please wear a heating cap (you may chose to go under the dryer for 20 minutes if you are press for time or do chores around the house well while naturally heating your hair and scalp for 1 hour). Phase 4 Wash out protein conditioner with luke-warm to cold water...this well ensure that a lot of the moisture remains in your hair. Phase 5 Towel dry hair to a very damp almost wet state then apply Tropic Isle JBCO Hair Food to all areas of your scalp. Also apply hair food to hair follicles as well pay close attention to the ends of your hair to prevent frizz. Phase 1 Shampoo no more than twice with Tropic Isle JBCO Shampoo. Phase 6 In between wash maintain scalp with small amounts Tropic Isle Hair Food Pomade (you may chose to eliminate this phase from the regiment if you feel that your hair is well moisturized. Stay Tune for my next blog on how to use Tropic Isle Jamaican Black Castor Oil Hair System for Natural/Colored Hair as well as Relax/Colored Hair. Enjoy your hair journey the destination will be worth it!! Hi Sunshyne are you doing promotions for Tropic Isle Living now? I was wondering the same thing.Are you promoting Tropic Isle now? This is the 2nd or 3rd promotional post about Tropical Isle. I would like to hear unbiased opinions about these products. I've tried the Tropic Isle Products and they are pretty good. 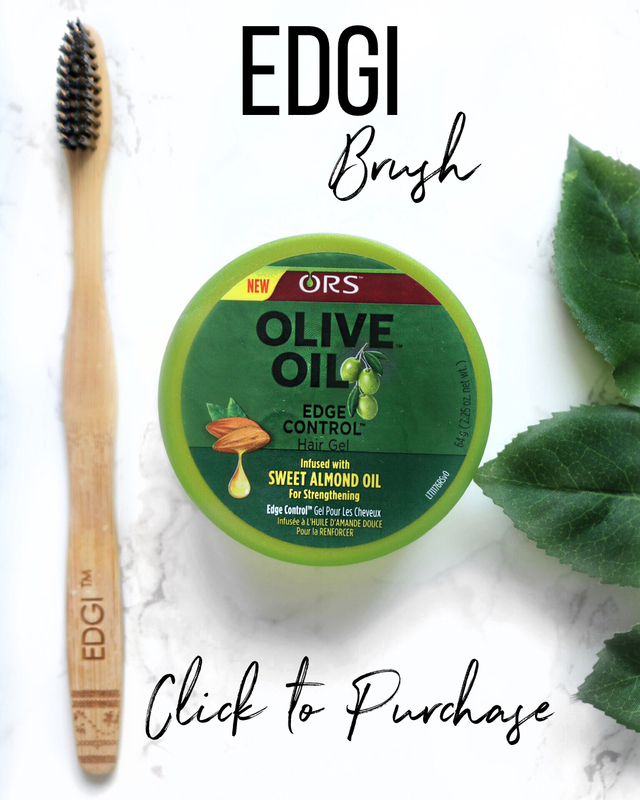 The reason as to why you see Tropic Isle blog posts is because I invited Lois Reid-Hines over to my blog to further discuss the benefits of Tropic Isle Jamaican Black Castor Oil products for those who were interested, especiall since the Castor Oil Challenge is taking place. 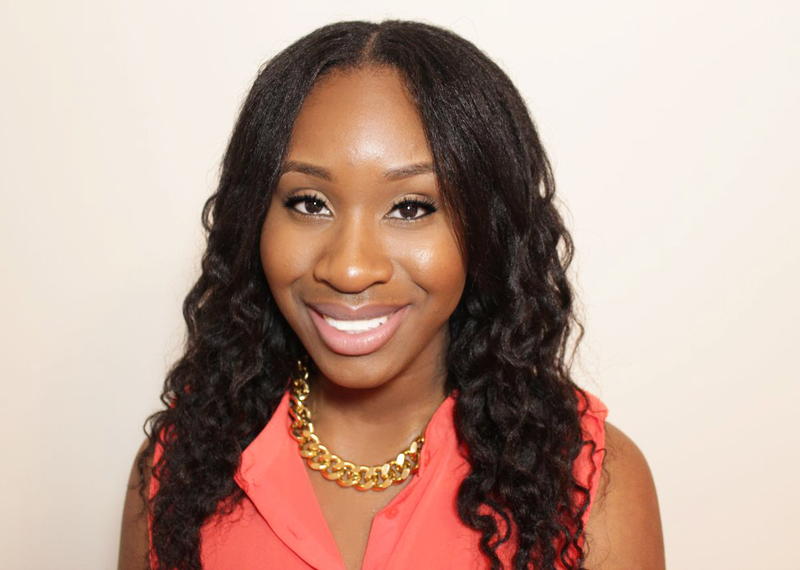 I love JBCO so I was intrigued to learn more about the product line and how to use it on Natural or Relaxed hair.